Never Lark nor Eagle: A Fighter Pilot's Story, the novel by Ray Castagnaro, is about Yanks in the RAF during the Battle of Britain, their transfer to the American "Eagle Squadron," and their eventual transition to the U.S. Army Air Forces. The story continues with dangerous test flying at Muroc Lake, California, then the exploits of the "Fourth but First" Fighter Group in Korea. The reader witnesses counterinsurgency in the jungles of the Philippines, espionage in 1950s Saigon, and hypersonic test flying at Edwards. It climaxes with the electrifying, but often overlooked air campaign over Vietnam. As told through the saga of one extraordinary American family, the story of the most exciting period in aviation history is told with historical accuracy, passion, and humor. See some Book Reviews below! Here's a great way to bring quality reading material to our men and women defending our freedom [click on picture at end of this page]! Historical fiction about the career of a fighter pilot and his family, spanning 1938 to 1958. 16 year old crop duster Carl Morro is adopted by the Wilcox family of rural Kentucky. With his adoptive brother, Freddy, Morro joins other American pilots in Britain’s Royal Air Force in 1940, transitioning to the American "Eagle Squadron," and eventually the US Army Air Force when America enters the war. The reader witnesses an accurate history of air warfare and weapons development through the fictional career of a man who helped develop them and their tactics from pre-WWII through Korea and the 1950s. The novel is available in two volumes, in both hard cover and paperback through Xlibris. Amazon, Barnes & Noble, Borders, and other fine booksellers now have it available as well. You may order your copies either on line or through their retail stores. Click on this text to jump to Purchasing Information. Please contact the author to schedule book signings at your bookstore or organization! Continuation of the fictional career of fighter pilot Carl “Bing” Morro and his family, from 1958 through 1978. Col Carl Morro, now a veteran of combat in WWII and Korea, as well as of dangerous test pilot flying and espionage in Southeast Asia, returns to his roots, and to aerial combat in Vietnam, to face an undeniable truth. The reader continues to witness the true stories behind today’s aeronautical wonder weapons through the fictional eyes of a man who helped develop them and their tactics from the early supersonic era through the Vietnam conflict. North Richland Hills, TX – (Release Date ca. 14 Feb 2003) – He is a fighter pilot. He cut his teeth in a crop duster, but soon finds himself flying, fighting, and testing the deadliest war machines ever created. 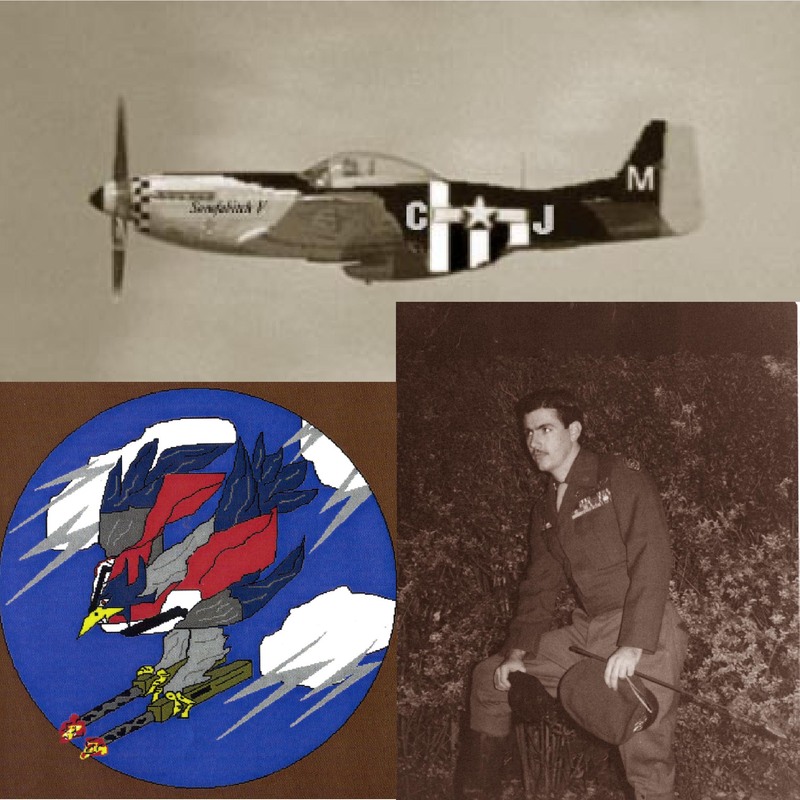 He is Carl “Bing” Morro, hero of Never Lark Nor Eagle: A Fighter Pilot’s Story (Volumes I & II), Ray Castagnaro’s epic tale of triumph, tragedy, love, war, vengeance, and deliverance. Never Lark Nor Eagle: A Fighter Pilot’s Story (Volumes I & II) is a two-part historical novel that centers around the career of this pilot and his family, spanning the decades between 1938 and 1978. After being adopted by the Wilcox family of rural Kentucky Carl and his adoptive brother, Freddy, join other American pilots in the British Royal Air Force, transferring to the U.S. Army Air Force when America enters the war. Volume I concerns itself with the Wilcox-Morro family’s experiences in World War II, the Korean War and its aftermath. In Volume II, Carl Morro, leaves behind a career of test piloting and espionage in Southeast Asia to return to his roots and face an undeniable truth in Vietnam. Through compelling narrative and humorous dialogue, Lt Col Castagnaro, himself a US Air Force officer who has flown various fighter jets, provides an accurate and entertaining history of aerial warfare. He also includes detailed descriptions taken from more than 12 years of research, about the development of today’s sophisticated weaponry and the tactics used to employ it. Providing an insider’s view, Lt Col Castagnaro’s characters are instrumental in the design and implementation processes during WWII, Korea, Vietnam, and beyond. Far from a run-of-the-mill “techno-thriller,” the characters of Never Lark Nor Eagle are well sketched, growing and changing with time. Raymond J. Castagnaro was born in New York City, grew up in Levittown, Long Island, and graduated from Rutgers University and its Air Force ROTC program in 1978. 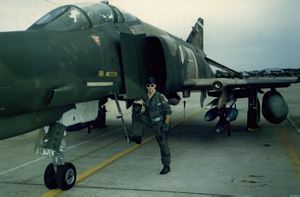 He served six years of active duty in the Air Force flying F-4E Phantom II fighters, then transferred to the North Carolina Air National Guard as an air liaison officer/forward air controller, supporting various tank and infantry units of the North Carolina and Georgia National Guard and elements of the XVIIIth Airborne Corps. 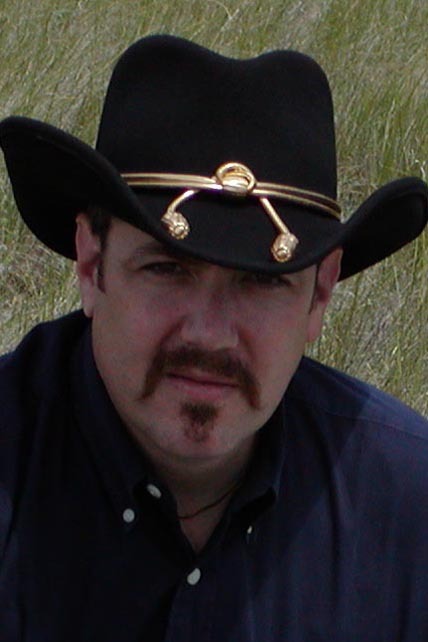 Mr. Castagnaro completed his 25 year career as an Air Force Reserve Lieutenant Colonel, currently lives near Dallas, Texas, and is currently a Self-Employed Contract Consultant for International Trade Compliance. The author is available for interviews by calling (215) 923-4686. To purchase copies of the book for resale, please fax Xlibris at (215) 599-0114. Xlibris is a publishing services company based in Philadelphia and a strategic partner of Random House Ventures, LLC, a subsidiary of Random House, Inc. Xlibris books can be purchased in any major bookstore, or online at Amazon, Barnes & Noble, Borders or Xlibris. For more information, contact Xlibris at (888) 795-4274 or on the web at www.xlibris.com. Never Lark nor Eagle: A Fighter Pilot’s Story, is historical fiction about the career of USAF fighter pilot Carl “Bing” Morro and his adoptive family, spanning the years 1938 to 1978. The tale, epic in proportion, was too extensive to fit into one 600 page volume. Col Dean E. Hess, USAF (Ret), the prizewinning author of Battle Hymn, read an earlier version of the manuscript and was delighted with its realism, historical accuracy, exciting aerial action, and humor. Col. Hess flew Air Force fighters in both World War II and Korea, and has attested to the credibility of the book’s chapters spanning those two periods, which are coincident with his own career. 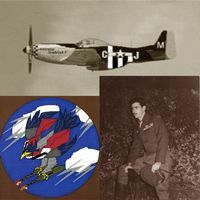 The same manuscript was also reviewed by the late Lt Gen Chesley Peterson, USAF (Ret), who was astounded over how a child of the 1950s through 70s could have “gotten” what it was like to have flown the P-51 Mustang and the F-86 Sabrejet. Both men are depicted briefly in the story as a tribute. 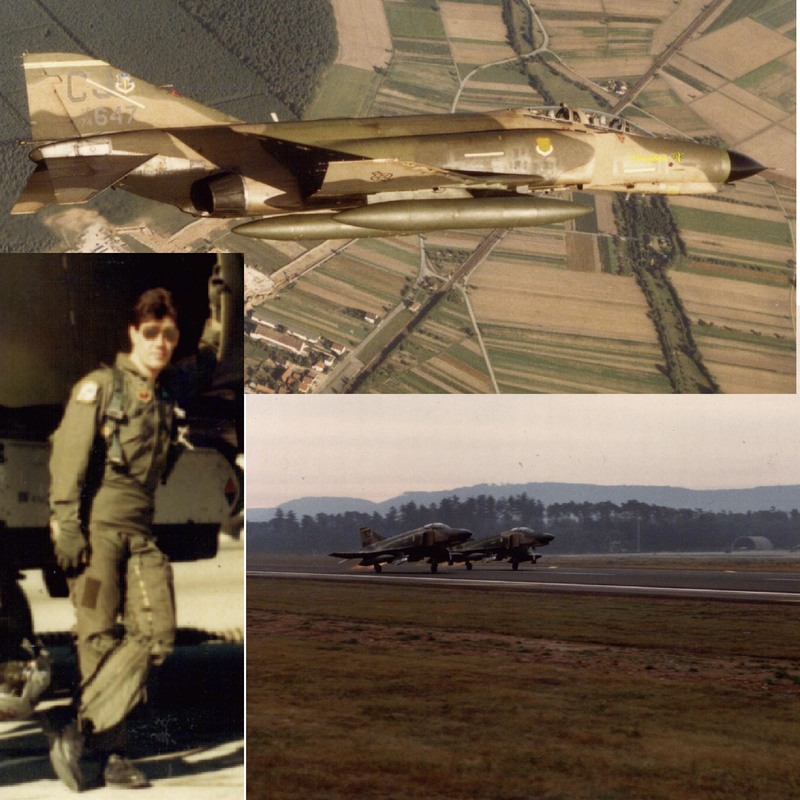 My research took over twelve years, including my six years flying the Air Force F-4E Phantom II fighter. The investigative work for all aspects of the story is consistent in its attention to detail and accuracy, and has involved my operational flying with Vietnam era fighter pilots, as well as interviews with veterans from World War II and Korea. This has afforded a realism simply not attainable by "non-participatory research." As they say: I have walked the walk. I believe my novel will appeal to educated readers with an interest in history as well as to others who have simply lived through the periods depicted in the story. The attention garnered by news coverage of the Gulf War and the current War on Terrorism (as well as the success of A&E and The History and Discovery channels) reveals a public captivated with the tactical air weapons of the modern battlefield. Never Lark nor Eagle provides a fascinating story that traces the etymology of some of today’s aeronautical wonder weapons, through the fictional career of a man who helped develop them and their tactics. The substories within the novel are all true. I have woven them together within the fabric of one fictional family's story to bring them to light. Please enjoy the novel. I look forward to hearing from readers. 2. The novel is also available through Borders.com,Waldenbooks.com,Amazon.com, or BarnesandNoble.com (or through one of their retail stores) at the following suggested prices: PLEASE ORDER BY ISBN number to be sure you are getting each volume! The Reviews are starting to come in from readers! If you've ever wondered what it's like to be behind the stick of a combat aircraft, read this book! The dogfight scenes are so realistic, I could almost feel the g-force pinning me to the chair as I was reading. The author, a former fighter pilot himself, uses stripped down prose peppered with Air Force lingo to paint a taught picture of aerial combat. But ultimately, "Never Lark Nor Eagle" is a great story that follows the life and times of a fighter pilot through forty years and three wars. Carl "Bing" Morro, the story's protagonist, is a charismatic and likable hero who has the potential to become as an enduring a character as James Bond or Jack Ryan. Yet the author is careful to keep Morro grounded in humanity. We watch him grow from a cocky young kid to a battle-scarred combat officer, all the while retaining his same likeable charm throughout the book. The supporting characters are as richly drawn as well. They will definitely evoke an emotional response. One character irritated me so much, I kept waiting for him to get shot down! This is the level of skill by which the author pulls you in. You actually care about these people, and that keeps the pages turning. The story is an engaging blend of action and drama set against an amazingly accurate historical backdrop. Take it for a test flight. I just wanted to let you know that I thoroughly enjoyed reading your book. I finished the first volume while here at Fort McCoy. The second volume is in my other bag back at my unit, for the trip down to Fort Bragg and overseas. I especially enjoy when you get into the details of describing military traditions, procedures and uniforms - very W.E.B. Griffin-ish. One question -that little ditty that Carl and Freddy sang in England, "I'm looking over, the White Cliffs of Dover ..." - did you make that up yourself, or was it something folks actually sang? Either way, very clever. ... I think the book is great. I see you've used some names from the past as characters, and other personalities. Pretty neat. So far I am enjoying it. The problem is for some reason it gets into my subconscious, and I dream that part of the book as a character or a witness of the action. I wake up exhausted. Robert Ludlum does the same thing to me... I must admit the dog fights were intense... I can picture this as a movie. A fascinating history of the development of American fighter aircraft from WWII to the present, told in the form of a novel. Ray keeps the story moving by not dwelling too long on individual incidents. You stay glued to the book to see what is going to happen next. Very light reading. Good fantasy, suitable for young and old readers alike. Photos of the Official Rededication of the American Air Museum in Britain, 27 September 2002! George H.W. Bush, 41st President of the U.S. and HRH The Prince of Wales included. Interesting WWW Links at the End! The following is a link to our Medal of Honor page. Please click on the text to jump there now. The appearance of these hyperlinks does not constitute endorsement of the associated sites by the author of this site, or the information, products, or services contained therein. Further, it does it imply any editorial control or endorsement. You can order a set of Never Lark nor Eagle: A Fighter Pilot's Story (Vol I & II) and send it to an American Service man or woman!